The process leading up to my (traditionally published) first book was a fascinating journey. Discussions with many people on everything from editing to marketing to the cover design, were stimulating and thought-provoking. The whole idea of having your book – from the very broad concept to the minutiae of individual sentences – subjected to such interrogation and scrutiny is a mildly scary prospect for many. 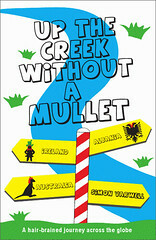 However, with that first book, Up The Creek Without a Mullet, I truly relished and enjoyed the challenge, the self-reflection and the ability to think through with professionals the many ways to express, improve the book, and project and market it to the world. With self-publishing, though, you can feel pretty much on your own. It’s been a journey that has been difficult and even a little lonely at times, but it’s encouraged me to dig deep in terms of my own ability to self-reflect, think critically and objectively, and draw on whatever resources I have at my disposal. Of course, ebook self-publishing is – from a technical point of view – easier and cheaper. No type-setters, no printing costs, no warehouses or wholesalers. These can be fiddly, costly and time-consuming links in the chain. But the flip side is the loss of valuable input on things like editing and marketing, which is where the real difference can appear in the quality of how the story is told and sold. 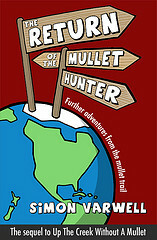 With my second book, The Return of the Mullet Hunter, I’ve been lucky in a way. Firstly, the process of publishing my first book taught me a lot. Secondly, I think I’m a naturally self-critical and self-reflective person always willing to look at things from new angles. That certainly helped in terms of challenging myself to make the book better. Thirdly, though, I’ve had some immensely valuable input from others that have helped the book be what it is. I’ve already mentioned the improvements to the story that came from my friend Simon and from the Highlands and Islands arts organisation Emergents. Thankfully there are always people on hand who have a good eye for words and who are willing to help out a friend; and agencies like Emergents are great but not unique, and many similar services will exist in other parts of the country. 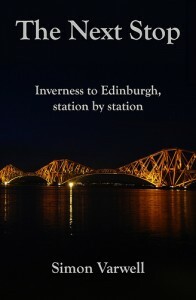 Meanwhile a web designer friend, Tony, did me a very good deal on the ebook formatting. You can’t just press a button on a Word document and turn it into a Kindle book – there are a few things that need mucking about with first (not least given the different file types that various ebook publishers use). While I’ve looked a little into ebook formatting, I just didn’t have the time to research it fully and experiment myself. Tony’s job, however, was meticulous and professional, and I’m delighted with the end product. The other important help I had, though, was with the book cover. There’s much to tell on that front, so I’ll write separately about it in my next post. 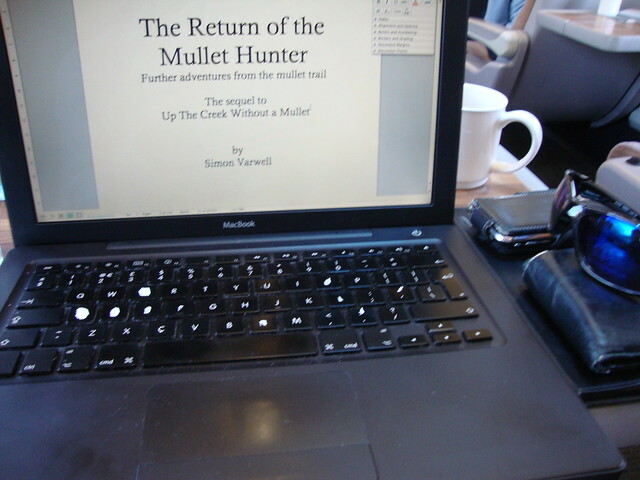 Suffice to say, therefore, that self-publishing needn’t mean solo publishing, and I’m glad The Return of the Mullet Hunter has benefited from the input of many others. As the cliched disclaimer goes, though, all errors are purely my own. It was a pleasure to be part of your journey into ebooks, thank you for the kind words. Interesting point Lis, and welcome to my website! It’s hard, I agree, to do the project management side of things – making sure that all the different stars (writing, publishing, marketing etc) all align rather than just replacing the role of the publisher in a piecemeal way. You don’t see many “book project manager” types offering their services – and it might be reasonable to guess such a service would be a lot of money for an indy. So glad you had a good team around you. I look forward to buying and reading it! Thanks so much Siobhan – and thanks in advance for buying it! It’s really appreciated.